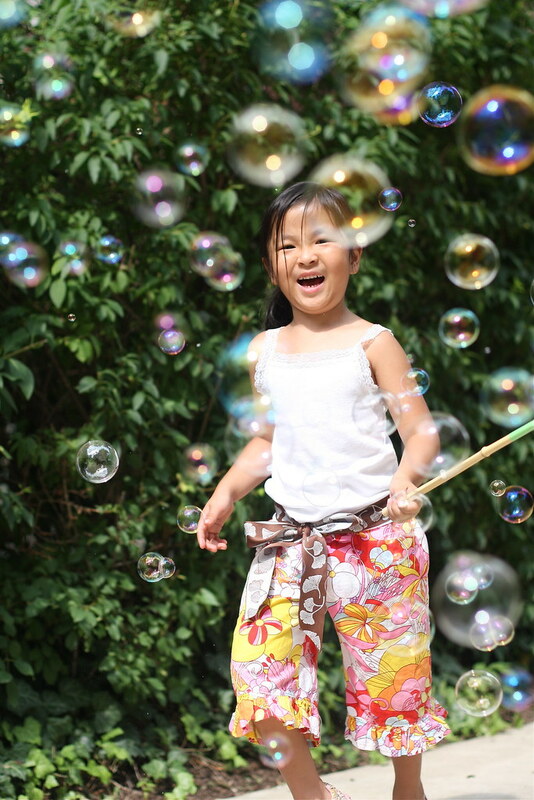 The theme this week at I Heart Faces is Bubbles. I immediately thought of this picture. Both Kenna and Michal love bubbles and could play with them for hours. One afternoon they figured out how to hang their bubble machine on the forsythia bushes so they could dance in the bubbles. This picture so captures Michal's joy as she plays in the bubbles and it also cracks me up because she found a piece of ribbon and made herself a belt. You can see lots of bubbly photos, or enter a photo you've taken, at www.iheartfaces.com! Wow... this is beautiful! One of my favorites so far! Oh I just love her expression. She is having a wonderful time for sure! Great photo. This is amazing! Such a happy little girl in all the bubbles. What a fabulous photo! Makes me smile! That's a lot of bubbles! This is one of my favorites so far!! Love this shot! My favorite of the day!! beautiful. and the camera you use is... ? very cute shot... the bubbles and smile make me smile right back. Very cool shot! LOVING her pants too! oooh look at those bubbles sparkle! I LOVE it! First I've seen where the selective focus captures her cute expression and the bubbles! LOVE IT! MY fav so far! Great capture! You can certainly see her joy. All I can say is....WOW! That is an amazing photo...and it really captures her mood. Love, love, love it!